KEN YUSZKUS/Staff photo. 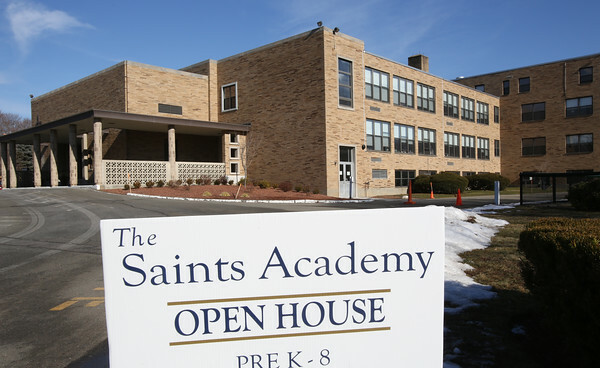 There are signs outside the St. John the Evangelist School advertising the new Saints Academy, the new name for the Catholic school that will result from the merger of St. John's and St. Mary's. 02/01/16.